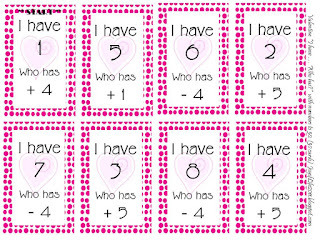 FREEBIE - Valentine Math ... I Have, Who Has?? I made this game today. It is an "I Have, Who Has?" math game. 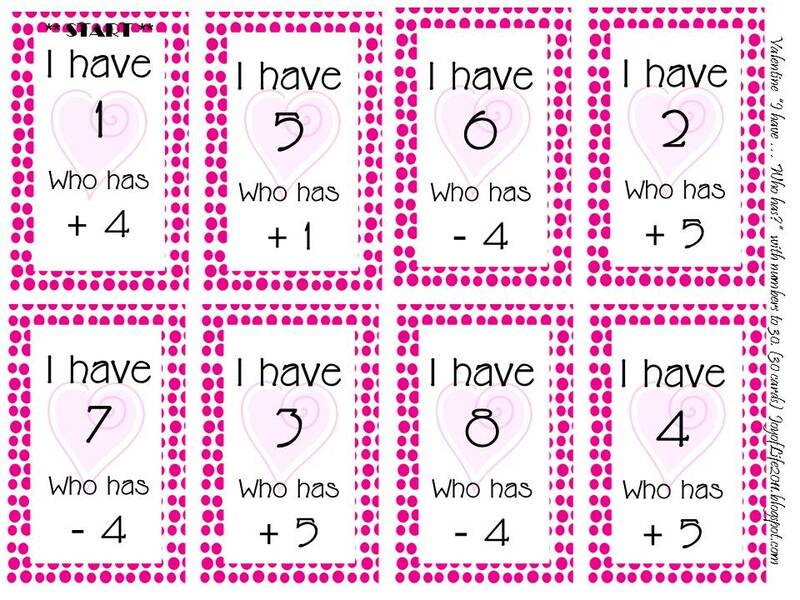 It includes 30 cards using addition and subtraction to 5. I also made a box that you could use to keep the cards in, or throw them in a plastic bag - whatever suits you. 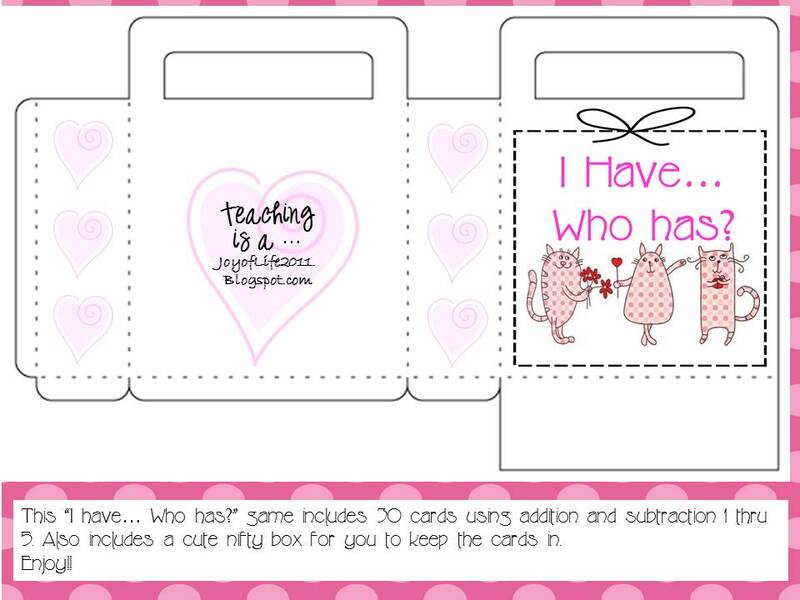 :) I hope you find it fun for your class. If you like it, please consider following my blog. Thanks, and have a great day!! I am so happy I have a great new blog to follow! I get in fact loved account your weblog posts. Anyway I'll be subscribing to your augment and even I fulfillment you get admission to persistently fast.